Underutilized plant species help to alleviate common food insufficiencies by providing alternative food supply. They also complement primary health care, furnishing raw materials where the cultivation of staple cereal crops is least feasible and health care is pursued indigenously. Research and promotion of extraction, utilization, and conservation of underutilized species lead to exploration of new staple crops and motivate people to consume in a sustainable manner. 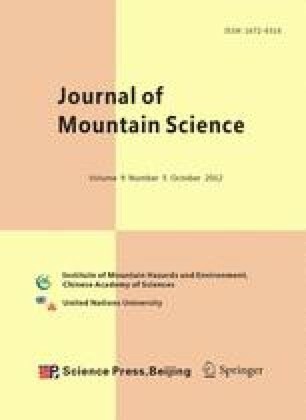 The present study describes the current status, uses, and management of underutilized plant species in Far West Nepal. The relative importance of 49 underutilized plant species was computed employing a Relative Importance (RI) technique. The use-values assigned to the species fall into six use-categories: beverage, fodder, food & edible, medicinal, vegetable and veterinary. A total of 22 species appeared in multiple use-categories, while the rest were characterized by a single use-category. Based on relative importance and frequency, Ficus semicordata, Debregesia longifolia, Girardinea diversifolia, Hydrocotyle nepalensis, Garuga pinnata, Aloe vera and Pyrus pashia offer the most potential for future. Underutilized plants proved important to folk medicine and food. These species persist because they remain useful to local people as means of subsistence, production, and primary health care. The findings are important so far as they point up the role of underutilized plants in national food security policy and health care, spelling out their potentialities and cross cutting relationships. R Development Core Team (2010) R: A Language and Environment for Statistical Computing. R Foundation for Statistical Computing, Vienna, Austria. ISBN 3-900051-07-0, http://www.R-project.org.